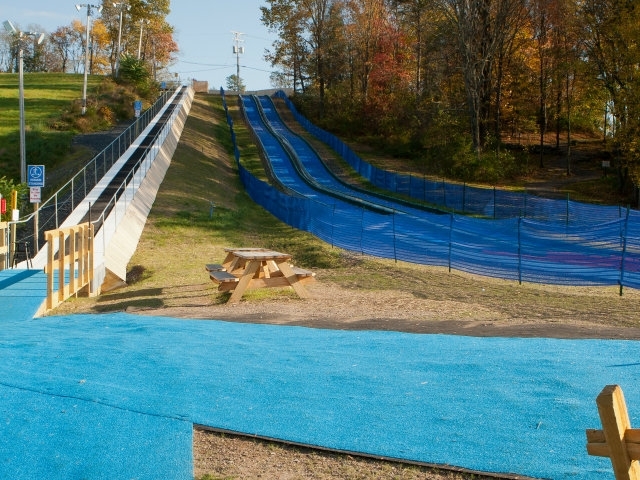 Experience the thrill of snowtubing year-round at The Villas and Fernwood Resort at Blue Lightning all season tubing, the only all season tubing facility in the Pocono Mountains with a Magic Carpet lift and two 400 foot tubing lanes. 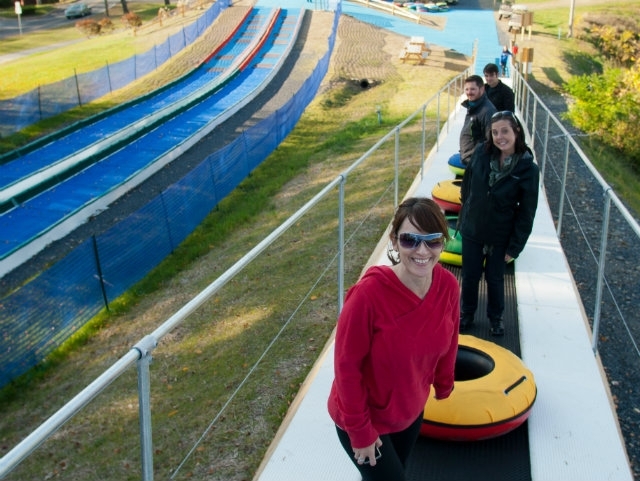 Ride to the top, walk off and start tubing by sitting down on the tube and gliding down on the special runs that allow tubing without snow or water. 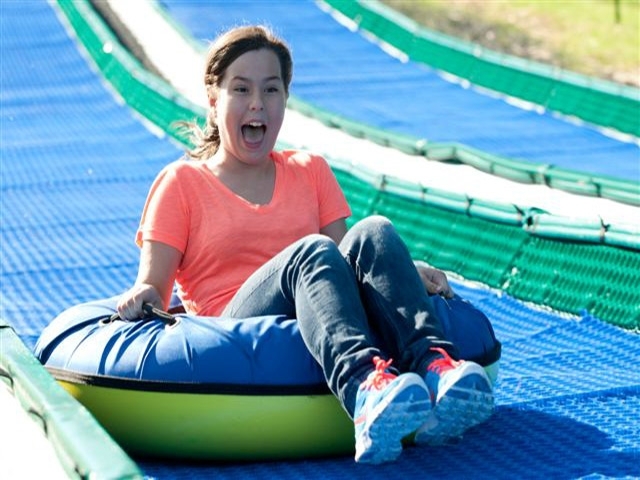 Great for group and family outings, take that much needed getaway to the Pocono Mountains and include Blue Lightning Tubing, a round of golf, swimming, canoeing on the Delaware, zip lines, Pocono Vertical Ventures, horseback riding, and Pocono TreeVentures aerial ropes course on your list of things to do. Located on Rt 209 just off I-80 next to the Delaware Water Gap National Recreation Area. 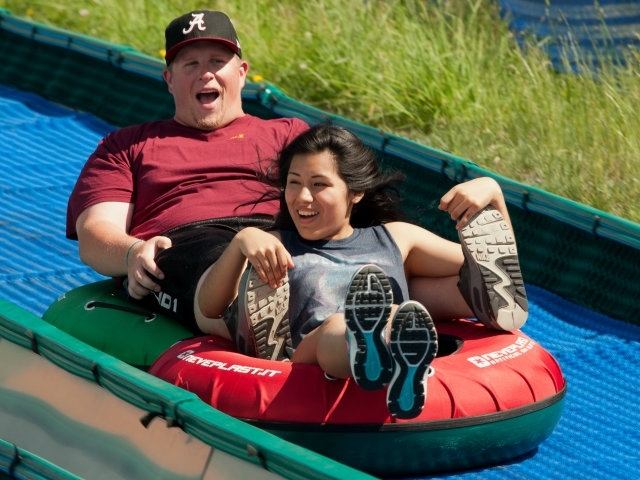 Stay and slide packages include tickets and villa accommodations within walking distance to Blue Lightning. Now is the time for that Pocono Mountain getaway. General Information: Dates Closed: Open December thru March, Hours: Open Thursdays through Mondays and holidays. 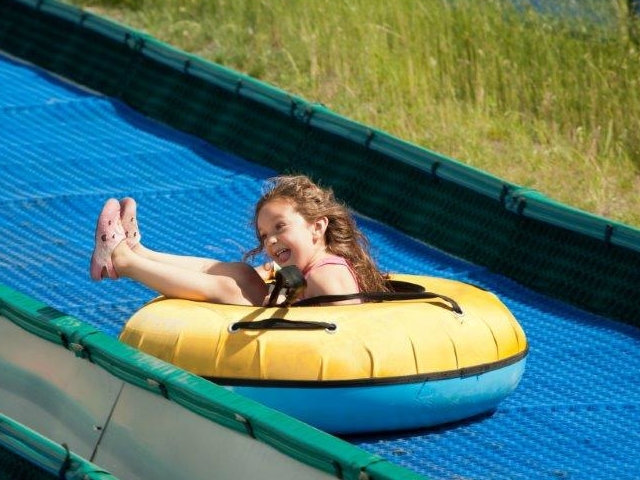 Midweek: 5 - 9 p.m. Weekends/Holidays including President's Week: 10 a.m. - 10 p.m.
All season tubing fun at Blue Lightning Tubing. Blue Lightning all season tubing.